An endangered Queensland bird is at risk of extinction because environmental legislation is failing to protect its habitat, according to a University of Queensland-led study. 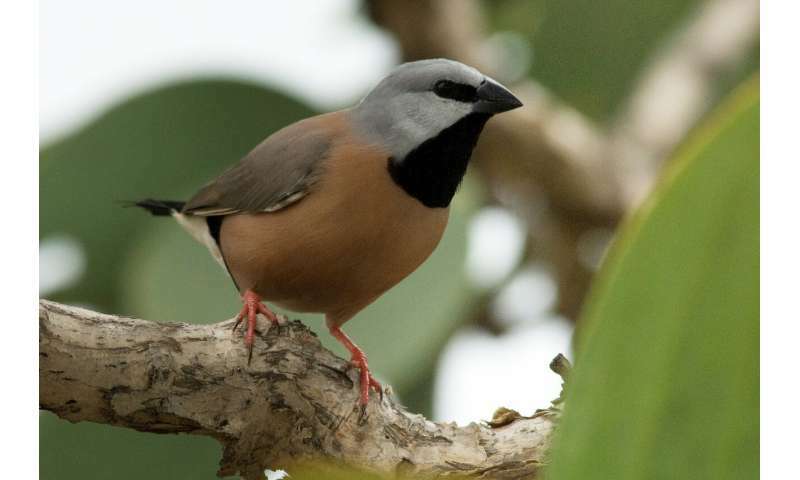 Researchers reviewed Australian and Queensland laws that protect threatened and endangered species, in light of a more than 80 per cent reduction in the distribution of the southern black-throated finch's population. They found that despite the protection laws, extensive finch habitat loss has continued to be approved—with more in the pipeline. Dr. April Reside, from UQ's Centre for Biodiversity and Conservation Science, said the best of the bird's remaining habitat was now under threat. "Extensive clearing for agriculture and grazing has been allowed in the finch's open woodland habitat—from north of Townsville to New South Wales," Dr. Reside said. "Australia and Queensland have laws to protect threatened species, but they're failing to do just that. "Two Australian mammals and a lizard have gone globally extinct in the last ten years, and with extensive habitat destruction still being approved by governments, the finch may be next." 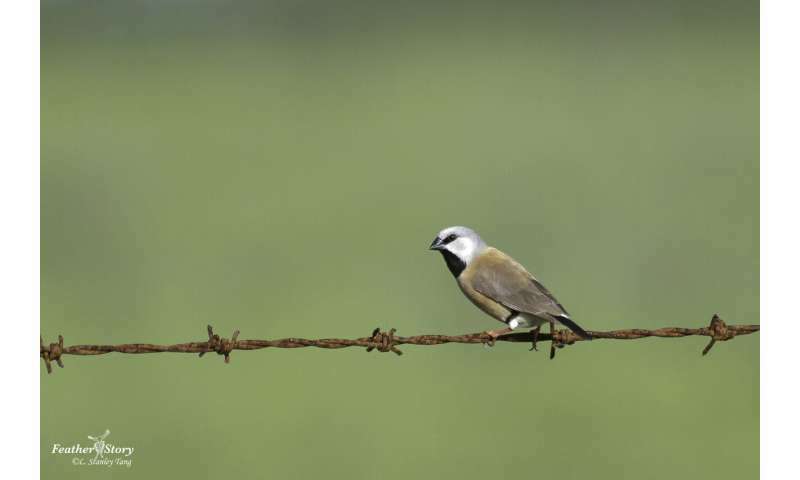 The study found that more than 700 development projects overlapping the finch's habitat have been referred to the Federal Government under the Environment Protection and Biodiversity Conservation (EPBC) Act 1999. Only one out of the 775 projects—a housing development near Townsville—was refused because of an unacceptable impact on the finch. "All of these proposed projects for the finch's habitat were assessed independently, so the cumulative impact is not properly considered—it's death by a thousand cuts. "And an additional 500,000 hectares of likely finch habitat was cleared without referral to the Federal Government. 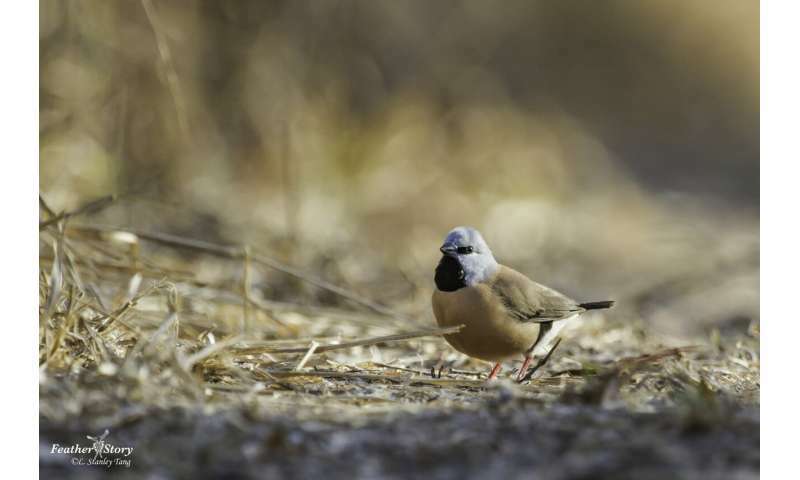 "This species is now in a very perilous situation, but recently approved developments will clear much of the best remaining habitat for the southern black-throated finch." Dr. Reside said approved developments had relied on 'habitat offsets' to compensate, but a recent study showed offsets were failing to provide habitat for the endangered bird. The spotlight is on Australia's record of extinctions, with a Senate Inquiry hearing in Brisbane this Friday (1 February) to investigate the ongoing decline of Australia's 457 threatened animal species. "Often extinctions happen because we just weren't watching," Dr. Reside said. "This time we have charted the steep decline of this Australian bird, but so far we have permitted the decline to continue. "Under our current state and federal environmental policy, southern black-throated finch habitat continues to disappear. "If we're to prevent yet another extinction in Australia, we need to halt the decline of this bird's habitat, otherwise we may lose them forever." The research is published in Environmental Science and Policy.